We know there are descriptions like front and rear that determine where your OEM wheels go on your car… but have you heard of right and left wheels? 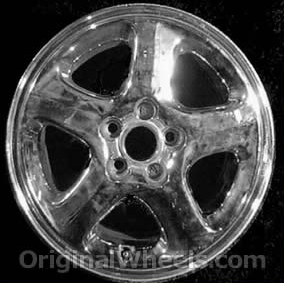 Much like staggered (front and rear) wheels, directional (left and right) wheels do not really offer anything different in terms of performance. Their purpose is pretty much just aesthetic; they look cool. Seriously! 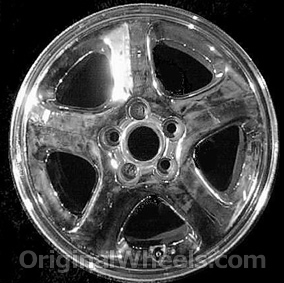 They were more common on older vehicles – a couple of the factory options on the 1993 Mitsubishi 3000GT wheels were directional. The pictures just look like they were flipped horizontally, don’t they? 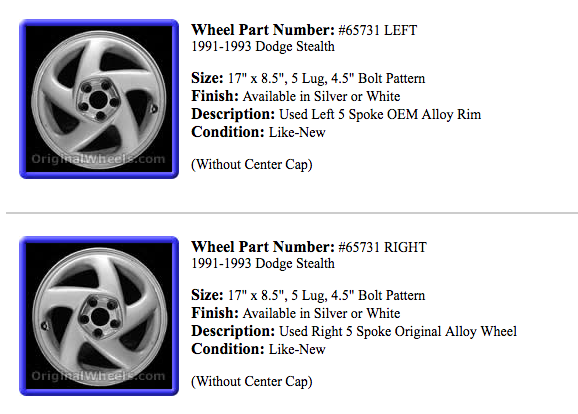 That’s pretty much how directional OEM rims are, too. You also can’t really just put them wherever you want on your vehicle… for example, if it’s a left wheel, it must go on the left side. 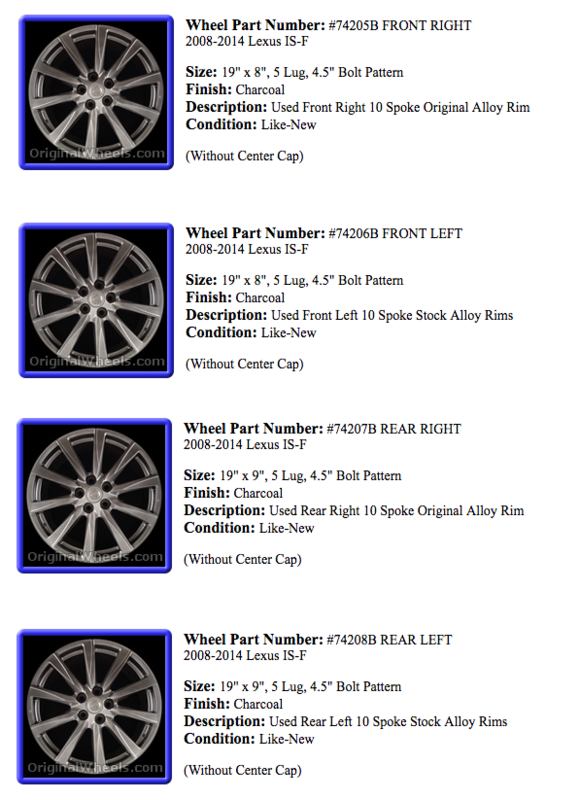 So imagine staggered AND directional sets, such as the 2008 Lexus IS-F rims. You can’t switch these around at all; the front left MUST go on the front left, and so on. 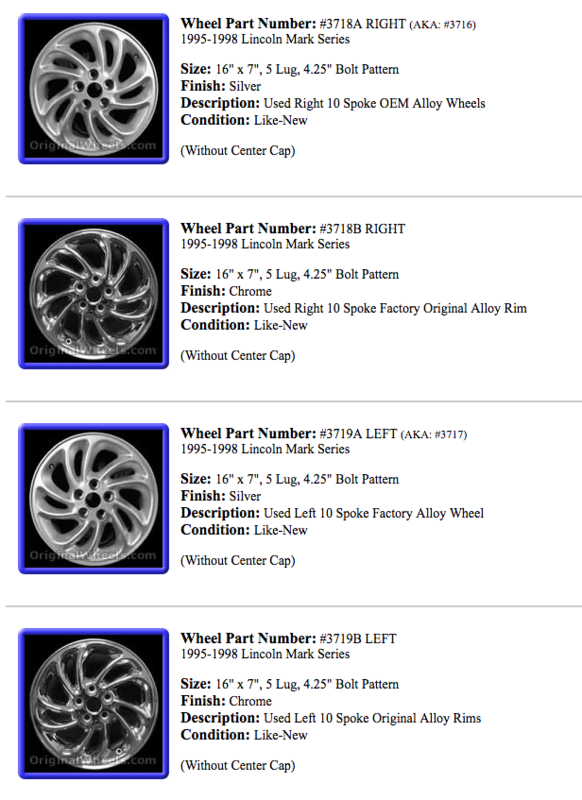 Like we mentioned earlier, directional factory wheels are just another way you can customize your car. They may not be as popular nowadays like they were back in the day, but they’re still pretty fun to look at! According to some people, there could be evidence that suggests certain directional wheels have a cooling effect on the brakes. The theory is that the spokes act like fan blades, “scooping” out the hot air around the brake. The evidence for this may not be conclusive, but it does seem to make sense when you consider the design of the spokes. The angled shape of some of the spokes could play a part in keeping hot air away from the brakes. Whether this is true or not, it’s still pretty interesting to think about! Find yourself missing a directional stock rim? Give us a call at 1-800-896-7467, or feel free to browse our website! Thanks for reading guys, and we hope this information was helpful/useful to you!